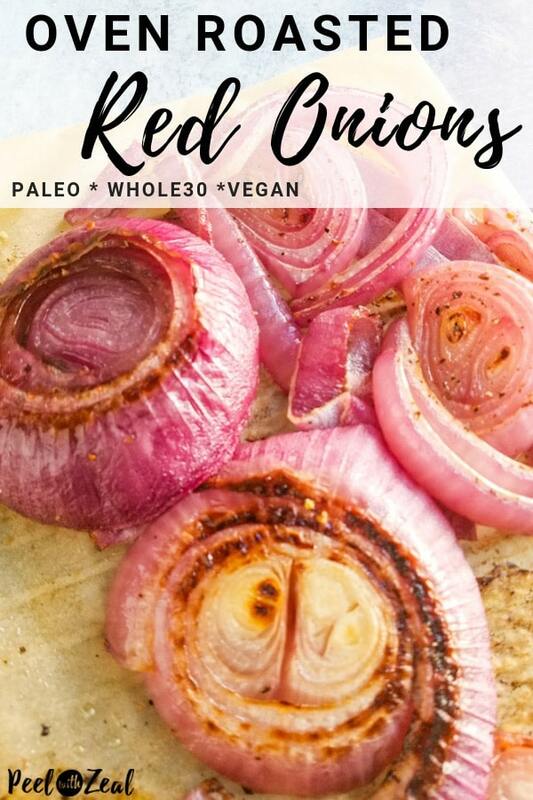 Easy roasted red onions are the perfect way to meal prep. 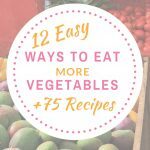 Bake in the oven and use in your favorite lunch bowl, as tacos or as a standalone side dish. 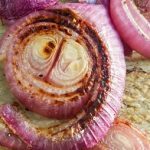 Roasted red onions are easy to reheat and can be served chilled or at room temperature. We have been on a roasting streak in the Peel house lately. Maybe it is the colder weather. 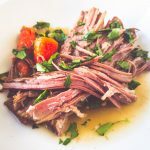 You can check out our most recent slow roasted tomatoes and our roasted garlic to see what I am talking about. 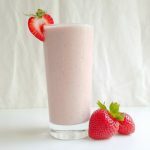 Serious goodness! If you find raw red onions too harsh or simply don’t like chopping red onions raw then roasted red onion is for you. Roasting the red onions removes the spiciness allowing the sweetness to shine. Roasted onions are easy to make in the oven using a neutral oil like olive or filter coconut and salt and pepper. Start by preheating the oven to 400 F degrees. 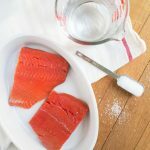 Line a baking sheet with parchment paper to prevent sticking. Alternately you can oil the baking sheet but if your onions are high in sugar they may still stick. 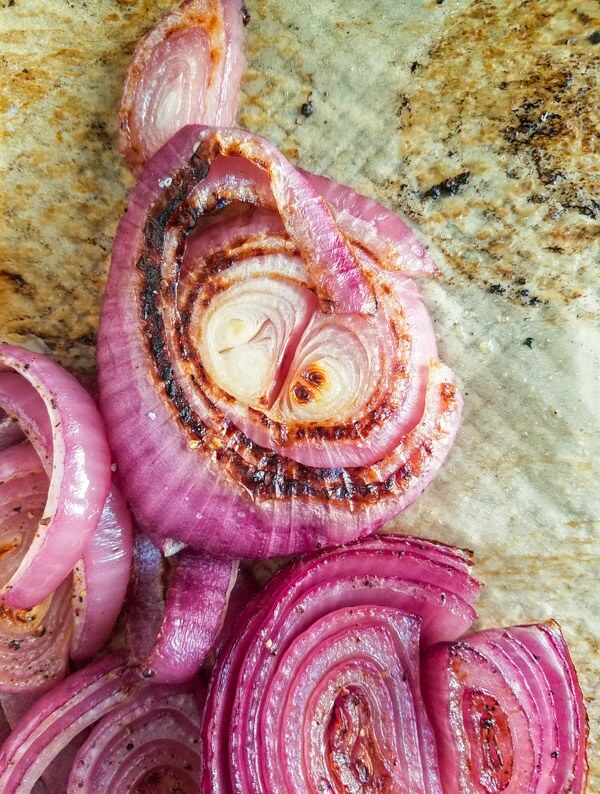 Your red onions should be sliced into ½ thick slices. Thinner sliced onions may cook faster, but they also get gummy so stick with the thicker slice. 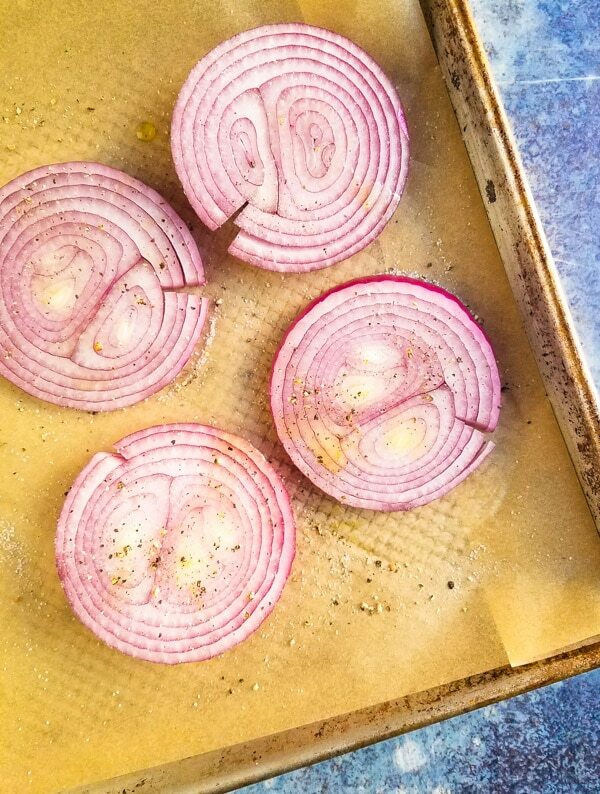 Layout the red onions on the baking sheet and lightly brush with oil and season with salt and pepper. Roast until caramelized about 15 to 20 minutes. Flip halfway through for even caramelization. 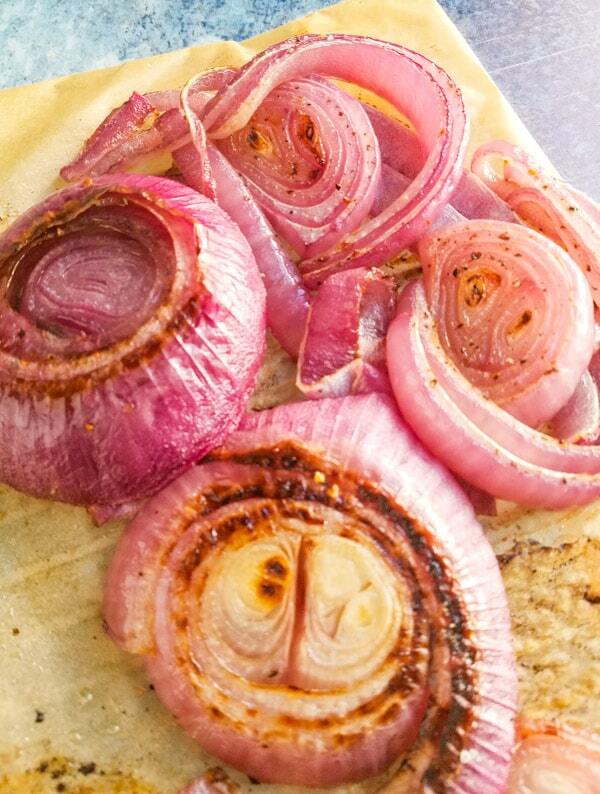 Easy roasted red onions and be made ahead and served with any dish. Preheat oven to 400 F degrees. Line rimmed baking sheet with parchment paper or lightly brush with oil. Cut onions into 1/2 inch slices. Arrange onions on a baking sheet. 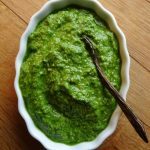 Brush lightly with oil and season with salt and pepper. 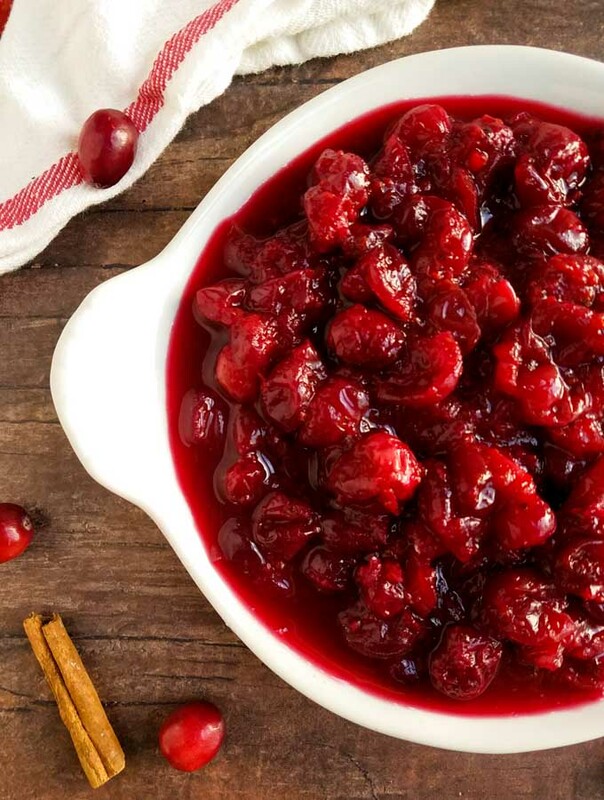 Roast until caramelized and tender, 15 to 20 minutes. Flipping once halfway through.